This year’s Camp Right Way Houston was unique. There was a lot of talent overall, but the level of competition was unbalanced. It was positive to see that if these kids learn how to compete at a high level and build their basketball IQ, that this class will have some strong prospects. Evidence of this was shown immediately, as the level of play made a huge jump on day 2. These are just a few players that stood out this weekend. It was good to see him play with the level of aggressiveness expected of him. Clearly established himself as one of the elite players in this class. Showed he could impact the game in many ways. As he continues to develop a more efficient offensive package, he will be a great prospect. Houston, TX: What an experience! The 2018 John Lucas Top 160 camp was all anyone could ask for. It was fast-paced, great competition, hard (hard) work, some laughter, and guidance. John Lucas no-nonsense but loving approach was on full display as some of the nations finest got a glimpse behind the curtain of what the next level looks like. Houston we have a problem...and I wrote about a few of those problems below. HOUSTON, Texas – One year ago the John Lucas Top 160 Elite Invitational had to be postponed at the last minute because of the tragic and ongoing weather that came in conjunction with Hurricane Harvey. The magnitude of the storm and it’s ensuing flooding plus the time of the year made rescheduling a less than realistic option. The 2018 return of the event this past weekend more than made up for the lost time and provided one last go round for some non-scholastic summer basketball action. Houston, TX – The 2018 John Lucas Top 160 Elite Invitational returns to the MI3 Center after being postponed one year ago due to the devastation caused by Hurricane Harvey. 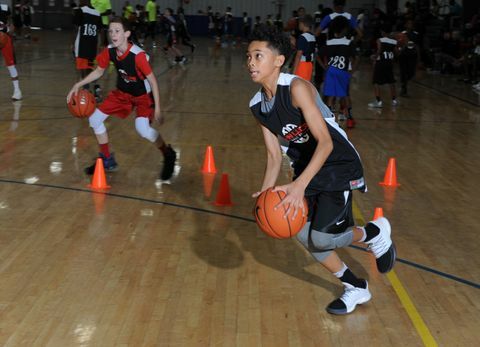 After the storm passes, things will get brighter and this year The JLE Top 160 Camp was LIT! The fact that BAH drove from Tampa to Houston is evidence that the JLE Top 160 CAMP is significant. 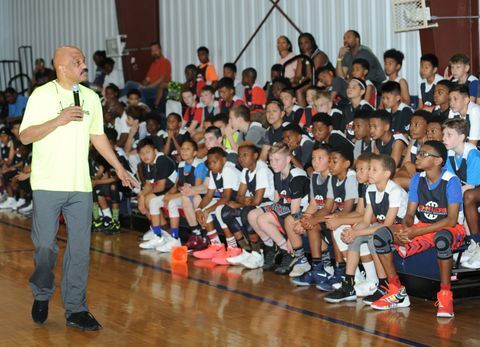 John Lucas is one of the most respected basketball figures (Boys or Girls) today; his events speak volumes. Separation is always key and the Top 160 sets itself apart from all other events. All aspects of this event are strategically formatted, and the camp’s structure is disciplined. It’s a family camp, parents are more than spectators at the event, there are informational sessions for parents. The participants received training, mentoring and a challenge that is extraordinary. 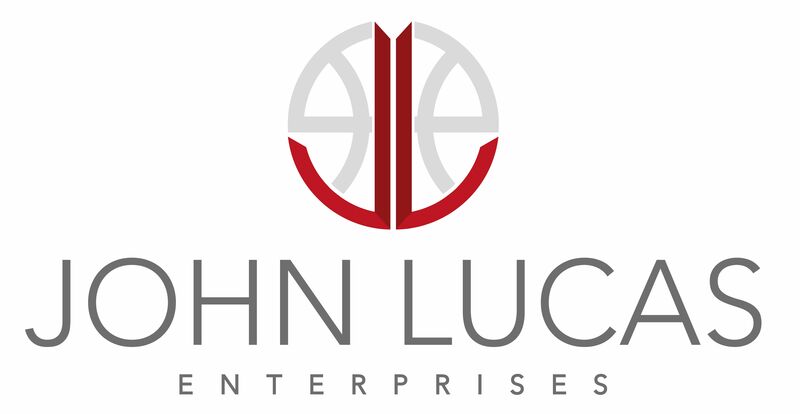 When you come to a John Lucas Event come ready to learn, play and bring a working mindset; YOU WILL WORK nothing here will be simple. This year’s camp included some of the top 4th,5th, and 6thgraders from around the country. Overall it was a competitive group from top to bottom and showed they hand a strong feel for how to play offensively. As they continue to develop their IQ on both ends of the floor, they have potential to be very strong classes. These are just a few of the many standout from camp. Dalen Fuller– 2024-6’0-Tulsa, OK- A long athletic forward that played with a high motor and was aggressive rebounding and in transition. Christian Joe-2024-6’2-Houston, TX-He has good size and a wide body that he used well when rebounding and finishing around the basket. Zion Pipkins-2024-5’8-Humble, TX- A strong body wing with a good handle and an instinct to finish. He showed the ability to knock down the 3, that made him a tough guard. This was the first year the IMSC was moved to the west coast and I was a great success. There was a high number of high caliber talent this past weekend. The guard play was top notch and there was some very good wing players in attendance. Even though it was based in Las Vegas there was over 26 states represented from as far as Toronto and Florida. It was a great weekend of kids competing at a high level and intensity. Even though the camp was moved from Texas, it was great to still see a high level of support from the state. He may have been the most impressive player in camp. He definitely doesn't pass the look test. He's truly a lead guard and plays like it. If wanted to, he can score at will, but he was great at setting his teammates up to also be successful. He has quick feet and a very good court vision. He has a nice stroke and was very consistent at knocking down the mid-range shot. 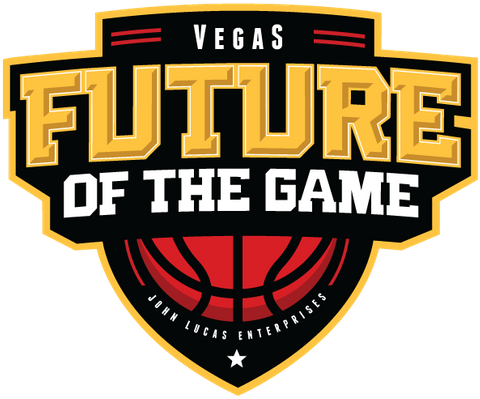 Las Vegas, NV – The Jam On It Sportsplex in Henderson, NV was on fire, displaying about 200 up and coming standouts. Every year this prestigious event showcases some of the best national 7th/8th grade talents. This years International Middle School Combine was one of the most balanced, with high level players that I feel we have had in a few years. It gives me confidence that our 2022 and 2023 Classes are ready to have a real impact as they make the step to High School. The level of performance improved with every drill and game. It was great to see players really receive the instruction and work to apply it in games. Here are a few players that really stood out to me. Mohamed Ngom6’10 2022 Houston, TX- The first thing that stood out is he has the size and body to step into the next level right now. He is a fluid athlete and runs in transition very well. The key will be his commitment to developing his skill set and improving his feel for the game. This years camp was full of young skilled guard play. It's always good to young players develop skill sets early. It was good to see over 16 states represented at this camp. This was unheard of years ago for 5th and 6th graders competing nationally in camps. He was the most dominant player in camp. He didn't show many weaknesses. He can handle the ball, he made good decision and was good at getting his teammates involved. He could score and get to the cup at will. He seemed to get bored at times. He was one of the intimidating players in camp. He contested every shot on the defensive end. He cleaned the glass on both ends and surprised me with the range on his jump shot. He also surprised me with his ball handling skills. Mason Brown-2024-Las Vegas, NV- Played dominate all weekend. Very crafty ballhandler with a very good basketball IQ. Played like the best player in camp and has the potential to be an elite prospect. Kasen Krueger-2024-Alamo, CA- Very smart heady player with good size. Should a very balanced skill set. He has a nice shooting stroke, finished at a high percentage in traffic. He consistently rebounded all weekend and was an aggressive defender. Aaron Powell-2024-Altadena, CA- Very poised decision maker with the ball in his hands. Nice athlete that finished well with contact all weekend. Unselfish player that kept his teammates involved. Trae Herrera-2024-Hutto- Played with a high IQ and showed a very good shooting stroke. He was active without the ball in his hands. 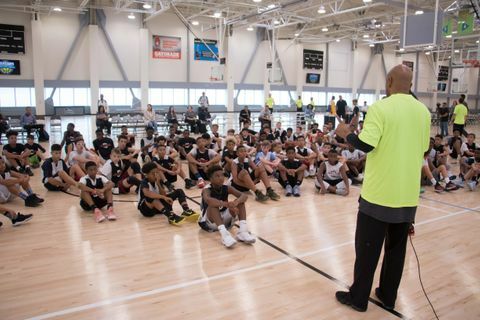 Chicago, IL – This past weekend John Lucas’s Camp Right Way gathered over 100 participating players ranging from the class of 2021-2024. Quest Multi-Sport facility was the location that showcased the future generation of top prospects. Athletes got pushed in skills and drills plus to reintegrate their learning, Coach Lucas quizzed players on the knowledge provided by the Coaching staff. Check out who impressed us the most this past weekend. Richard Barron III (2023/W/5’7/120/Chicago, IL) - Strong wing who used his body well attacking and finishing around the rim. Was really active all camp and consistently shot it well off the catch from the perimeter. Maverick Binder (2023/G/4’8/95/Table Rock, NE) - Aggressive, crafty point guard who was productive all weekend. Displayed very good court vision and leadership. Has a nice stroke from all levels. Showed the ability to create shots for himself off the dribble anytime he needed. Jacovey Campbell (2023/G/5’0/85/McKinney, TX) - Speedy point guard that lived in the paint. Established himself as a pass-first guard who also showed great tempo and feel finishing in traffic. Really controlled the game with his play. One of the best small guards in camp. Every year in seems like the JLE International Middle School Combine has more and more talent and this year the trend seemed to continue. This year the camp was guard oriented. I watched some of the best 8th grade guard play I've seen in a while led by physical dominant 2021 PG Jackie Johnson III and the totally poised and under control 2021 PG Daeshon Ruffin. Both these guards I can see making a big impact on the high school scene as freshman. With that being said they weren't alone 2021 Preson Murphy, 2021 Jalen Breazeale, 2021 Ryan Conway and 2021 Carter Whitt also had me very excited with their play. 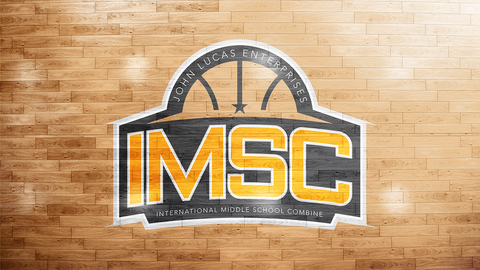 The John Lucas International Middle School Combine is the best event for elite 8th graders who believe they can build on their skill. This was our first time covering the IMSC and we left vastly impressed. Learning of players growing through this combine over the years was a big statement of John Lucas’s commitment. The event introduced some first time players to regional and national evaluators plus skilled trainers from across the nation. NBPA Top 100, Prep Insiders, Clark Francis (McDGG voter), Darnell “Tate” Johnson, Dain Ervin (Nike), Van Colman (NBPA Top 100) and Samson Kayode (USAB Asst. National Team Director) just to name a few. Here’s 5 players that were very intriguing to us. 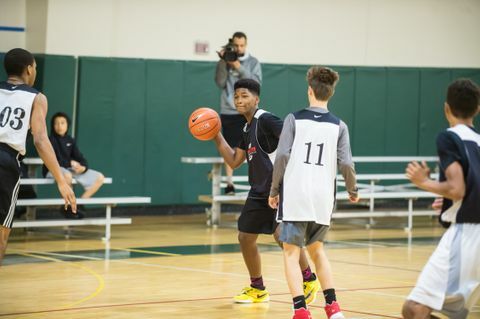 John Lucas Enterprises held its signature annual event this weekend as International Middle School Combine returned to Legends Sports Complex in The Woodlands, Texas. 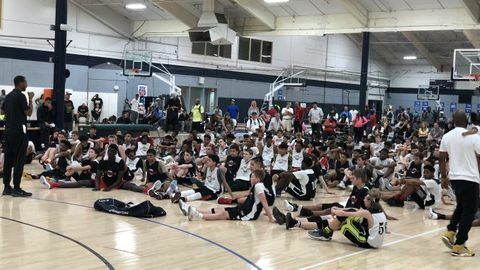 As usual, many of the best 7th and 8th graders from across the country were in attendance, and Top100Talent.com was honored to cover the camp alongside distinguished national media. Below are evaluations of the best talent I witnessed over the weekend, listed in alphabetical order. Jalen Blackmon (2021/G/6’1/145/Fort Wayne, IN) - The latest star from a family of hoopers, he first caught my eye at John Lucas All-Star Weekend 2016 where he had several scoring outbursts. Can really shoot the ball and displayed as much range as anyone at IMSC, and also looked smooth around the rim, whether finishing or distributing to teammates. John Lucas All-Star Weekend is one of the premier middle school tournaments in the country, and the 2017 edition, which featured over 160 teams, must be considered the best in the history of the event. Each year, All-Star Weekend seems to attract a deeper pool of talent, and bracket play on Sunday featured several of the most competitive matchups I have ever seen at the 6th-8th grade level. Below are recaps for the teams who had the most success over a busy two days at the MI3 Center. 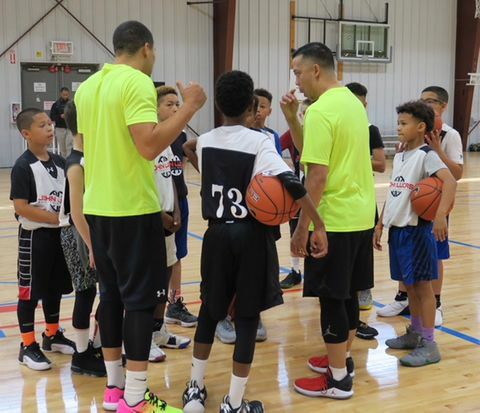 John Lucas Enterprises brought its Future of the Game series to St. John’s School in Houston over the weekend, and the two-day camp featured 70 of the best 5th and 6th graders from Texas and throughout the country. Below are evaluations of the 15 players who stood out most at the event, listed in alphabetical order. Owen Berry (2023/6’0’’/140/Dallas, TX) - Tall, skinny post player with nice handle for a big man. Runs the floor well, consistently beating the opposition down the floor in transition. Solid finisher through contact who will improve further as he gets stronger physically. Jacolb Cole (2023/5’7’’/110/Houston, TX) - Terrific all-around player, best on-ball defender at the camp. Thrives in transition, where he is equally adept at finishing at the rim or finding an open teammate. Always seems to be around the ball making plays, and has a solid mid-range jumper. The WOODLAND TX – John Lucas Top 160 brought kids from as far up North Canada to as far South Florida. Watching these girls compete at or above the 110% level showed how dedicated these Top 160 kids are and how bad they want to continue playing at the next level. 20’ Bella Lachance (Weston, FL)- 5’6 Guard that can go left or right, makes great decisions with the ball and know how to keep everyone involved. Really loved her leadership. 17’ Megan Walker (Richmond, VA)- 6’1 Forward has a really smooth game with a nice jumper. Really understands the game and knows how to score from any position on the floor. Never forcing anything just being a true team player and dominate when needed to. The Woodlands, TX – The John Lucas Top 160 Invitational was the place to be this past weekend September 3rd-4th. The event was filled with some of the top girls basketball talent in the country. The girls trained with some of the top trainers and got a little taste of what the next level is going to be like. The camp also provided the players an opportunity to compete against one another and showcase their talents to tons of media and they didn’t disappoint. ’17 Maya Dodson 6’2” F – When you watch Maya Dodson play the talent is obvious. She has great length and size combined with an outstanding set of tools at her disposal. Dodson has great hands and catches every single pass thrown her way. When she catches she plays true to her size and finishes above the defense with both hands. What I love about her game the most is that she always goes 110% all the time no matter the situation. 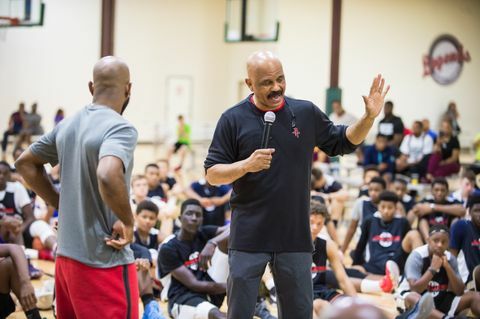 John Lucas has run some the best boy's camps in the country,...it came as no surprise when he launched his first ever all-girls camp with similar results. I was highly impressed. From top to bottom this camp may have had the highest number of D1 prosepcts of any Lucas camp that I have had the pleasure to cover. My estimates and I mean just my estimates, project over 10 future McDonald's All-Americans with as many as 100 plus D1 players. Now understand, I don't cover girls a lot, but talent is talent and that's something I know about. Labor Day Weekend 2016 brought us what has become an annual must see skills, drills, and competitive camp in the John Lucas Top 160. Players from classes 2017 – 2021 and from all over the continent, including Alaska, Hawaii, and a few from Canada, visited the Legends Sports Complex in The Woodlands, Texas to participate and gain some wisdom and add to their game. As registration started and players started pouring into the gym, voluntary early drills were already going on at every basket. There is no wasted time at the John Lucas Top 160 camp. You walk in, get your shoes on, get warm, start working, and you do not stop. 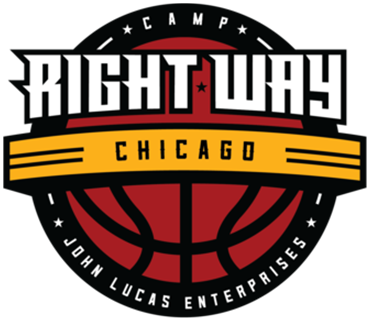 This year Camp Right Way-Chicago, was loaded with very good guard play. The guards played with higher I.Q's then in past years. This was one of the most unselfish Camp Right Ways I ever covered. Even though its called Camp Right Way Chicago, there was player represented from over 23 states and Canada. Two of the NBA retired players (Juwan Howard and Larry Hughes) had their sons in attendance and felt this camp has value for their kids. He has very good size for a PG his age. He was one of the smoothest guards in camp. He played with good pace and made good decisions. He could score at all three levels. He had a sweet stroke that never looked rushed. He could be more aggresive on defense. Caleb Corro (2021/5’7/135/Elmwood Park, IL) - Solid point guard with excellent handle. Has a real flair for making plays and possesses a high basketball IQ. Jeremiah Dotson (2021/6’0/145/Brown Deer, WI) - Athletic slasher that played aggressive all weekend. Finished at a high percentage around the rim. Nice frame and has plenty of upside. Ihsan Duncan (2021/5’11/160/Hampton, VA) - Elusive guard that made a living getting in the paint. Finished strong at the rim through contact and ran the team well. Jett Howard (2022/5’9/135/Miami, FL) - Long guard that has a shifty handle. Shoots the ball efficiently and has a quiet release. Has improved finishing ability in the paint. Elijah Jackson (2021/5’10/145/Mason, OH) - Athletic wing that showed off a variety of moves in the paint. Rebounded at a high rate and pushed the ball to create transition opportunities. Each year the FOTG-East becomes more of a national event. This year there was kids represented from over 20 states and as far away as California. Its seems like the kids in attendance this year were more attentive and ready to learn. At this age all I can do is evaluate, because 85% of the kids in camp are guards and their true position will not be defined for years to come. Long and athletic for his age. He plays very aggressive and is skilled for his age. He's a very good rebounder on both ends. He's is a man amongst boys at this age. 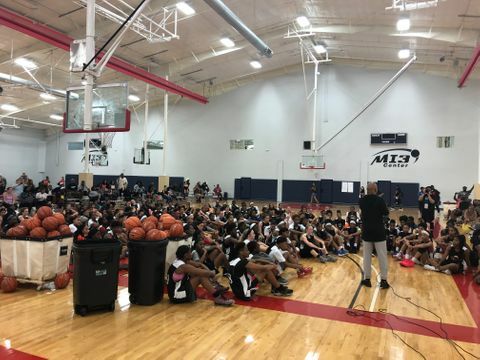 Coach John Lucas puts on many fantastic camps and clinics, but perhaps his signature event is the International Middle School Combine, which was held this year at Legends Sports Complex in The Woodlands, Texas. 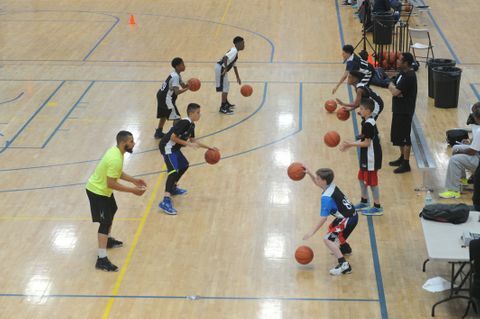 Gathered in the gym were nearly 200 of the nation’s finest 7th and 8th graders, who put their talents on display over Mother’s Day weekend. Below are evaluations of the 25 players who stood out the most at the event, listed in alphabetical order. Jabri Abdur-Rahim (2020/6’6’’/165/W) - Long and athletic, thrives on competition and takes over games for long stretches. Despite his slender frame, is not afraid of mixing it up inside, and is a proven finisher through contact. His size allows him to get off perimeter jumpers without much space. Excellent rebounder on both ends and takes pride in playing strong defense. Each year skill level of the 5th & 6th graders attending the camp, seem to be getting better and better. I like the development of he young kids. I wish they get tougher and get in better shape. If you haven't attended a John Lucas, your in for a rude awakening. It's high intense and non-stop camp. Derrian has great size and a motor for his age. He goes hard an never seem to take a play off. Hes a craty lefty, that when he attacked the cup was unstoppable all weekend. He seem to get in trouble when he falls in love with his jump shot, it needs a lot of work. He's a physical defender and a very good offensive rebounder. This was a first time event for Coach John Lucas and for me it was a great success. The Lab is his baby and it's legendary for not just young kids better, but also bona-fide stars like the Clipper DeAndre Jordan better. So with that being said my evaluation will definitely be a little harsher because the 'Lab' quote, un-quote isn’t nothing nice. Below is a few of my standout and high potential players that stood out to me. 2017 DJ Harvey 6'6 SG/WG (DeMatha) Washington D.C. This two day workout was directed by John Lucas and held during Final Four Weekend in Houston. The games was great to see and I had the opportunity to see a lot of kids in a limited amount of time. It does not take too long to identify who can, as well as who cannot play. There are many different views of how to approach camps as a player. Obviously so much emphasis is placed on scoring the basketball, most believe scoring is all that matters, but that is NOT all that evaluators are looking to see. 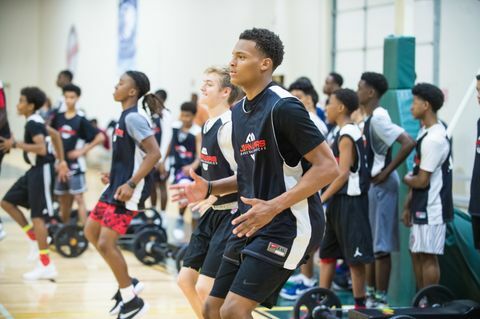 Once again, Coach John Lucas brought in nearly 200 of the best players from the Houston area and around the country for The Lab, a camp held at Legends Sports Complex in The Woodlands over Final Four weekend. Below are evaluations of the players who shined brightest in both the drills and the 4-on-4 games that took place, listed in alphabetical order by class. Jase Febres (2017/6’5’’/180/SG) - Streaky shooter was nearly automatic from 3-point range this weekend. Febres is among the best scorers in Houston, and his marksmanship allows him to go by defenders and get to the basket, where he can finish with either hand. His elite size for the position also allows him to fire in mid-range jumpers with little room to maneuver. Should draw some interest from high majors if he continues making shots at this frequency. It’s 9:30 a.m on Saturday in the MI3 center and parking in the lot was almost non-existent for me. I finally found one and when I got in the gym, there was talent on each court. This day one recap I will highlight top performers and also talk about the top games I got to see. Championship Sunday consisted of some highly anticipated and close games. When bracket play came around, the intensity heated up and emotions were high. Lets start with 2022 and Austin Nunez of Hardwork. He has gotten better every time I see him and he is such a threat from the perimeter that it allows his teammates opportunities to score. His IQ is high on offense and his ability to find the roll man on picks and to dribble out of presses was good to see. Bryce Griggs had a solid showing as well although his team lost earlier than expected. Griggs had to lead the team or be top three in multiple categories this weekend. He was a do it all guard. Harrison Alexander for GC Ballers is long and athletic. He is versatile on offense and defense which allowed him to play different spots on the floor and still be effective. I liked how he played on Saturday, but on Sunday he was being smarter with the ball and was crashing the boards better. John Lucas All-Star Weekend always brings together some of the nation’s finest young basketball talent, and the 2016 event got started on Saturday with pool play action. The oldest three divsions were held at the MI3 Center, and many of the games were well-played, tight contests that were decided on a few crucial plays. The morning session was highlighted by the spectacular play of the God First 14u squad, who were led by the nation’s top 2020 player Kyree Walker. The overall court vision and passing ability of Walker cannot be overstated, and his presence on the floor led to a spree of easy baskets for an already loaded God First team. They won their two contests by 35 and 37 points, setting a benchmark for the other 14u squads later in the day. Adam Kanafani also stood out for God First, displaying a versatile offensive game that led to scores from a variety of spots on the court. After an exciting Saturday to open John Lucas All-Star Weekend, Sunday would bring the tournament to a close with the knockout rounds. 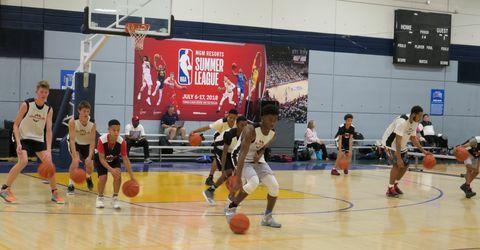 In the 14u division, the quarterfinals were perhaps the highlight of the event, with the four games being played simultaneously in front of huge crowds lining the courts. Texas Titans, after struggling for much of Saturday, finally found their rhythm thanks to the point guard play of Mike Miles. Miles scored at will and also found teammate Karson Stastny for a couple of long jumpers as they easily defeated Team KC by a final of 64-44. 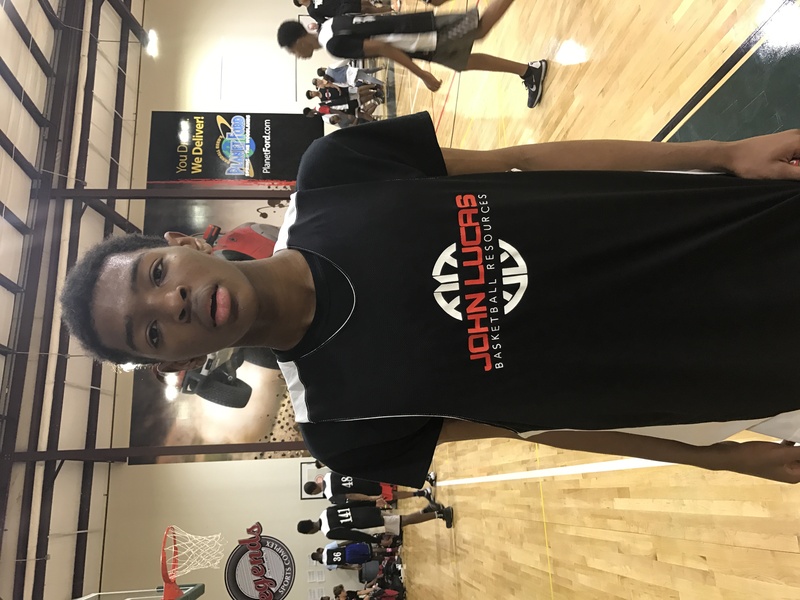 The best player at the John Lucas Enterprises Camp Right Way - East, which was held over the weekend at Competitive Edge Sports in King of Prussia, PA, was 5'11 8th Grader Posh Alexander from Brooklyn (I.S. 392) NY and he has all of the ingredients necessary to project as one of the next great guards to come out of New York City. We're talking about a tough hardnosed competitor with big time athleticism, the ability to lock his man up defensively, and a knack of being able to both go strong to the basket and beat you with his outside shooting. He also has good ball handling and passing skills, an unselfish demeanor, and is capable of playing either guard spot, although we like him better at the 2-guard spot due to the fact that he's such a great scorer and he's likely going to grow a lot more.